Application delivery automation tools should do more than just automate delivery. They should reduce companies’ time to market, scale to enterprise levels, provide cross-project visibility, enable compliance and security, and increase resource utilization. Many open source tools fail to provide all of these benefits – inflating companies’ total cost of ownership. 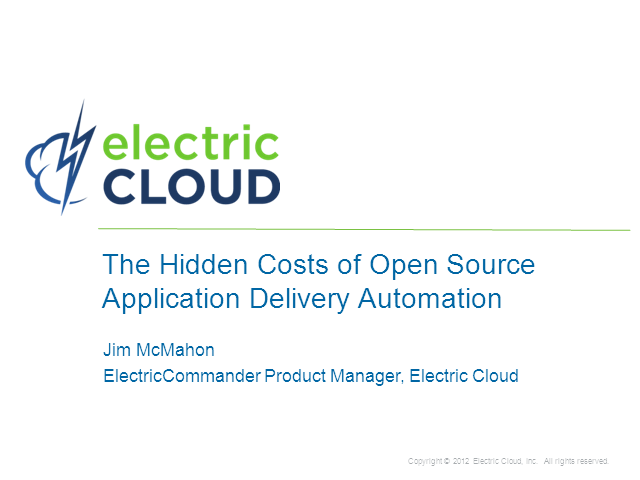 Join our webinar to learn about the hidden costs of open source tools and how Electric Cloud’s ElectricCommander provides the enterprise-level solution you need for success.